National Siblings Day — Alex’s Lemonade Stand and SuperSibs! Today, April 10th, is National Siblings Day. This annual celebration honors the relationships of brothers and sisters. Although Siblings Day is not recognized federally like Father’s Day and Mother’s Day, 39 of our states have official proclamations recognizing Siblings Day. Claudia Evart created the concept for the holiday in 1997, to honor the memory of her sister and brother. Siblings of kids with cancer have an enormous burden upon them. They live with fear of losing their brother or sister. They watch their sibling suffer in ways that children should never have to witness. They step to the background so their parents can attend to life-threatening issues and provide care that steals all of their time. They continue with their so-called “normal” life while their sibling and at least one parent are away at the hospital. They try their best to bring joy to their family when their family is falling apart. They sit with their ill sibling just to be with them. To any sick child, this is the greatest of all gifts… time. These kids are SUPER! Today, Alex’s Lemonade Stand announced it will be working with the organization SuperSibs! in the near future, to provide support for siblings of children fighting cancer. 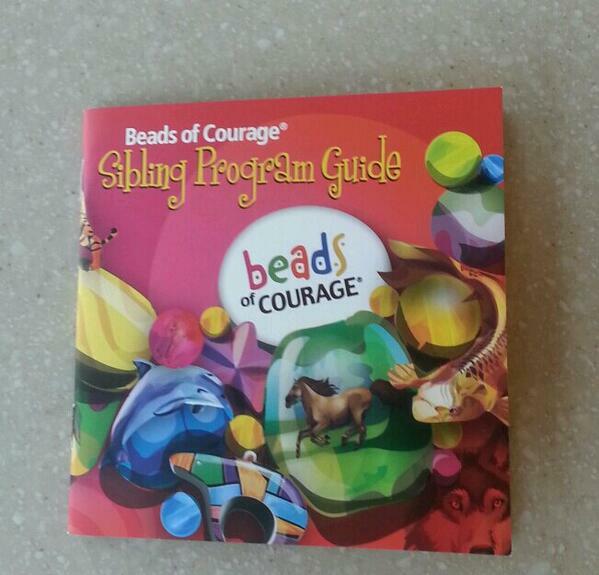 Today on Twitter, Beads of Courage tweeted a photo of their Sibling Program Guide for kids at Phoenix Children’s Hospital. Do you know a sibling of a childhood cancer patient? They need us. They need our time. We need to show them they are extremely important. Thank you to Alex’s Lemonade Stand, SuperSibs!, Beads of Courage, and all of you out there taking care of the kids who are taking care of siblings fighting childhood cancer. Go SuperSib Zach Hofen….. Z-Force!! !